A taste of Germany in the center of Hooksett New Hampshire. 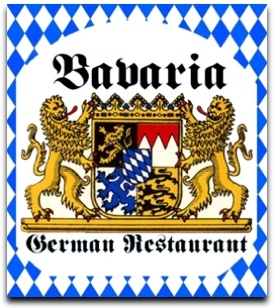 For those that live in NH or are visiting, come get a sense of what it's like to eat in Bavaria Germany. We urge you to call ahead for seating. We are located 1-mile north of Hooksett Village Shops (Shaw's Supermarket) on Hooksett Road (Rte 3). Entrance in rear of Granite Hill Business Center. Every meal is prepared with care and special attention. German food cooked to perfection with flavorful tastes and well-crafted presentations. Everything was top notch. Delicious food, friendly and conscientious service, easy access and parking, and quiet enough for good conversation. A great dining experience. I'll be going back.